Sorry, Clint Barton fans! Once again your regularly scheduled comic book has been subverted! 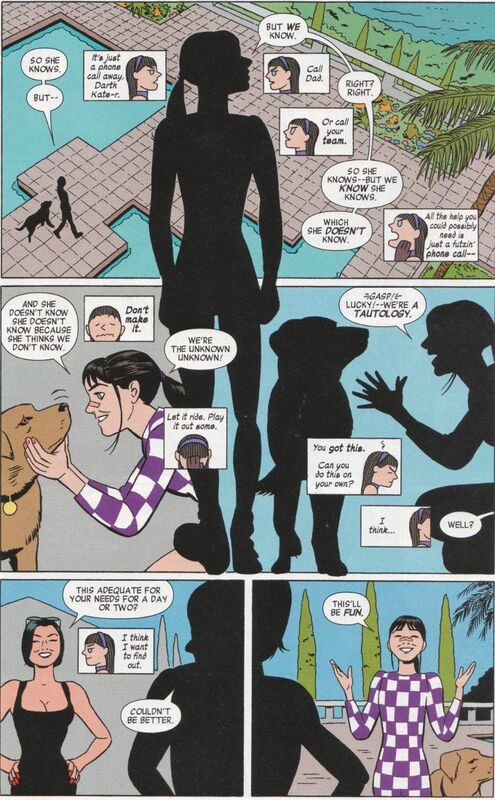 For Hawkeye Annual #1 focuses upon Clint's sidekick/partner/something, Kate Bishop! This issue is all about Kate striking out on her own in Los Angeles. Without her mentor. Without her team. Without her rich dad. Sadly, Kate is about to discover how difficult things can be when you're all alone and - suddenly - without resources. For Madame Masque - whom Kate was not exactly gentle to in Hawkeye #4 & Hawkeye #5 - is out for revenge and has ample power to make Kate's life difficult. It's redundant for me to speak of Matt Fraction's writing on this series at this point. Either you hate his knowingly smart subversion of the classic action movie cliches or you love them. I love them. I love how Kate isn't fooled for a moment by Madame Masque's attempts to win her confidence in disguise and is portrayed as being smart and competent enough to cope with a revenge-minded villain far more easily than she is sudden destitution and joblessness. 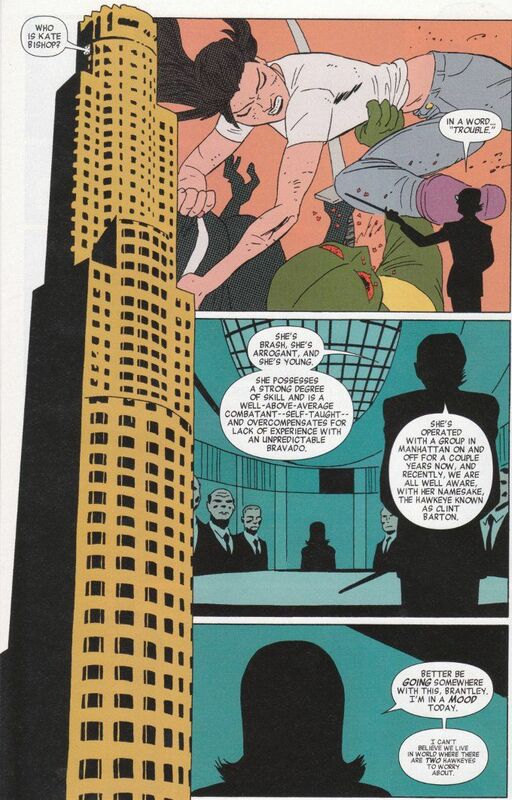 I likened Javier Pulido's previous Hawkeye work to the second coming of Jack Kirby. Seven months later, I stand by that statement, though this issue has little of the dynamic action that usually defines the term Kirbyesque. Yet there is a smooth simplicity of function to Pulido's artwork that is reminiscent of The King and the book maintains a classic Marvel feel throughout.